Two Scottish Catholic midwives have won the right not to have to take any part in an abortion, even indirectly. 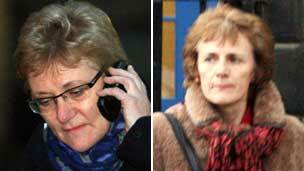 Mary Doogan, 58, and Concepta Wood, 52, had sought reassurance from the NHS Greater Glasgow and Clyde that they would not be required to delegate, supervise or support staff in the participation and care of patients through “the processes of medical termination of pregnancy and feticide”. But after the NHS refused, saying conscientious objection did not give them the right not to carry out those duties, the women took the NHS to court. In January 2012, the Edinburgh court upheld the NHS’s position that their freedom of conscience had not been violated because they were not being asked directly to take part in an abortion. The religious freedom expert and barrister Neil Addison gives an authoritative reading of the ruling and its implications here. Today’s decision by the Appeal Judges is a victory for freedom of conscience and for common sense. The midwives are to be commended for their courage and determination in standing up to an unjust requirement of the employer that they be involved in abortion procedures. As the judges state, the right of conscientious objection extends not only to the actual medical or surgical termination but to the whole abortion process. I hope that many pro-life health professionals will take heart from this judgement and have the courage to express their own objections if and when they are asked to carry out tasks which are morally wrong and violate their conscience. Respect for workers’ freedom of conscience is a hallmark of a civilized society. This entry was posted in abortion, religious freedom. Bookmark the permalink.